Notice: On July 25, 2013, we formally changed our Etsy username from "FM908" to "RenzRags" because we have officially registered our brand as "Renz." Good news: After about a year of preparation, we would like to inform you that we have finally launched our new shop, RenzBridal. Welcome!!! Please kindly read our shop policy before you place your order. And if you have any questions, please contact me via Conversations in Etsy instead of by email. With a body like mine I dont know why i haven't been ordering clothes made to my measurements before. This was the best fitting dress I've ever worn (even for better than my own wedding dress). It was beautiful and way better than anything a bridal shop had to offer! I love, love, love this dress! Absolutely beautiful! Kaye and the RENZ Team produced a amazing dress on an expedited timeline for a short notice wedding. Fantastic customer service and I’m extremely grateful for the their help!!! Highly recommend!!! Heartwarming words from our happy buyer! Stunning photos from our lovely customers. Add this to your wish list? Color: Soft tulle DB#622-Dusty Pink & Lining Z#13-Beige. I love the process of going from an idea to a design to a finished dress. One of our mix-matched collections. I offer a huge selection of colors. Check out my swatch link for more details please. Pictures from our happy buyers. My most cherished moments are when buyers tell me that we made their wedding beautiful. All of my items are handmade in my studio. After working as a full-time seamstress for a well-known brand, Miya decided to open an Etsy shop part-time in 2011 to make some extra money. Her great skill in making clothes and her talented designs were soon so popular that she finally decided to resign from her full-time job and work full-time as an Etsy seller. More of her fellow seamstresses soon joined her team last year. Renz is now a team shop that is run by a group of experienced seamstresses and designers. You can easily spend hundreds of dollars in a shopping mall for a piece made by us, but now you can get it for much less, and it is still made by us with the same quality. Our goal is to provide girls with top quality but affordable custom pieces. I met the owner, Mary, at a wedding exhibition and was impressed by her team’s workmanship. Her team members are more experienced in making wedding dresses than most of the American-based sewers.Mary is also very flexible in alterations. RenzRags is a boutique fashion label run by Miya Green and Tracy Arends. We use fabric of the high quality only and each piece is hand crafted in San Diego, California. There are so many similar colors on our swatch book, so we always follow the color code, not a color name. We don't take any responsibility if there are any discrepancy for color code and color name you note. Please note that if you want to order more than one dress in a same color,we highly suggest that you would order all dresses in ONE BIG order to eliminate color difference. We don't take any responsibility for color difference if you order the dresses separately. Please note that upon ordering, we will follow what is provided in the order notes (not the listing where the order was purchased). Normally, the order can't be Changed or Cancelled anymore after 2 DAYS from the order date. 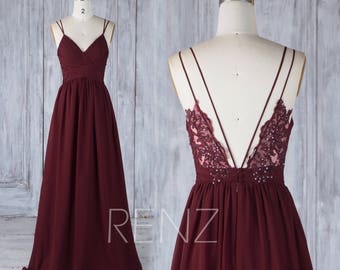 If no notes was provided in the order, as a default, we will make the dress the same color as it is in the listing if we do not get a response in ONE WEEK. Please note that for any refund we offer for the help, if we haven't received your reply/confirmation within 15 DAYS, it's possible that we will not issue any refund bec it's beyond our timeline. *Please note that actual fabric colors may vary from the color on your screen due to monitor color restrictions. Highly suggest that you get the swatch book from me before you place the dress order. I’m not able to be responsible for any color difference if you don’t get my swatches . *Also note that for the lace dresses or dresses with some lace details in different lace patterns, even if you order all dresses in one same color code, a slight color difference will be expected. Since they are made in different lace patterns, different thickness and lace appliques, it will affect the final color of the dress so the final color of the dresses varies depending on the lace pattern and thickness. For flower girl dresses or junior BM dresses, please consider in adding few inches with the measurements to allow room for growth especially if you are ordering 3 months or more ahead of time. Normally, READY-TO-SHIP dresses are non-returnable, unless, of course, we make some BIG MISTAKE like sending you the wrong style or wrong color – something off the rails like that. Even if it's in a standard size, we make some styles in a custom color (not the same as pictured), so it's still considered custom made. 1. For fitting/color issues, you can return the dress for an exchange. We will send you a new dress for free, but you need to cover the return shipping fee. 2. If you insist on a return without an exchange, then we will accept a return with a small restocking fee (10% of the dress cost + shipping fee). Please understand that it will take us extra time and effort to resell returned dresses. It is very important for us that our buyers are happy and satisfied with their purchase. For quality problems, please contact us within 7 days upon receiving the dress or before the wedding, whichever comes first. Anything after that, returns will no longer be considered. It is important to send us photos of the dress (better if the bridesmaid is wearing it), as well as photos of the measurements of the dress for confirmation, and together we will come up with the best solution. If we reach an agreement for the return, please return the dress within 7 days after the agreement date. If you can't return the dress within the time we give, we will not be able to issue the same refund amount we discussed. Item must return in its original condition to us unworn and unwashed. Please understand that we spent most of our time making the clothes, we only pick one day each week to process the exchanges and refunding, so for refunding, it would take as long as a week for us to finally issue the refunding back to your account. but it's definitely can be processed within a week after we got the returns. Thanks. We can accept credit and debit cards, Etsy gift cards and other international payment methods where available. Make sure you took the extra payment step at the end of checkout. It is an easy thing to miss. You should receive a separate confirmation for a PayPal payment. Normally, it takes 4-6 weeks to hand-make our dresses. However, we are very sorry to inform you that because we hand-make all of our items, and because we're starting this busy season, all orders that have been received beginning Jan 24, 2019, will take us 5-7 weeks to make (not including shipping time). We always pursue the best for our customers. Rest assured that you will get your dresses within this specified new timeframe. Typically, we recommend ordering at least 3 months ahead of the wedding date (the earlier the better). It won't necessarily take that long to make the dresses, but you will want peace of mind that it's done, plus it gives the girls time to have any minor alterations done if necessary. Please allow 4-6 weeks to make a dress plus extra time for shipping. If you have any question, please contact me via conversation in Etsy instead of email. Important Note: Please note that it's the buyer's responsibility to make sure the shipping address is correct. We are not responsible for returned items bec of wrong shipping address. BUT we would like to reship the dresses AS LONG AS the buyer would like to pay for reshipping fee. 1) For only one dress,Canadian buyers are shipped via USPS FIRST CLASS MAIL(default for Canadian buyers, 10-14 days to arrive) for the orders dated on and after Dec 28th, 2017. But for the orders dated before Dec 28th, we will still use FedEx International Ground. 2) For two or more dresses, Canadian buyers are shipped via USPS PRIORITY MAIL (default for Canadian buyers, 6-10 days to arrive) ) for the orders dated on and after Dec 28th, 2017. But for the orders dated before Dec 28th, we will still use FedEx International Ground. 1) For only one dress, Other international orders are shipped via USPS FIRST CLASS MAIL. (default for Country Australia, United Kingdom, New Zealand, Japan, Hong Kong, Korea, Ireland, Norway, Sweden, Finland, Poland, Spain, Portugal, Germany, Denmark, Taiwan, Singapore, Belgium, The Netherlands, Switzerland international buyers, 2-3 weeks to arrive). 2) For two or more dresses, Other International orders are shipped via USPS PRIORITY MAIL. ( default for Country Australia, United Kingdom, New Zealand, Japan, Hong Kong, Korea, Ireland, Norway, Sweden, Finland, Poland, Spain, Portugal, Germany, Denmark, Taiwan, Singapore, Belgium, The Netherlands, Switzerland international buyers, 1-2 weeks to arrive). INTERNATIONAL BUYERS: please note that I do not have the option to track packages if shipped with standard FIRST CLASS mail. Please convo me prior to completing you purchase if you need an express shipping. NOTE: Please be informed that we are not responsible for LOST/THEFT items once shipped. For international orders, We are not responsible for ANY customs fees/duties/taxes once shipped. Again, please convo me ahead of time if you are unclear about any of this. █ Can this dress be made in a different color,length, can we add sleeves, etc? Yes, please send us a picture of the look you want. We are very flexible. █ HOW DO I INDICATE THE SIZE & COLOR INFORMATION, ETC.-? You can add an optional message (size, color or other customization) to me in the "Note to EtsyStore" section. For plus size dresses, we charge an extra $10 fee. We can create a custom listing for the extra fee once order is placed. █ Can this dress be made in a different color? █ How long will it take to make my dress(es)-? Normally,After the order is placed it will take about 4--6 weeks. ... plus shipping time. We hand-make all the dresses, so it takes time! Normally 4-6 weeks, varies by season. If it’s the busy season, then the turnaround time will be longer. Normally,we cannot take rush orders. But If you really need to make rush orders, please check with us first. █ Are your dresses able to be tailored/altered once I receive it? Yes, I make the dresses with extra fabric inside so they can be easily let out. We have created a PDF file for this, with exact instructions. Feel free to request for that if needed. █ Is this dress look better in a certain type of chiffon, can you let me how can I decide among Silk chiffon, velvet chiffon ,100D chiffon and crinkle chiffon? We have different types of chiffon is more because that different girls like different types of chiffon, not because some dresses look better in a certain type of chiffon. So the dresses you chose can be in any types of the chiffon we offer. █ How do i decide a lace up back or zip ? It took much longer for me to do a "Lace up," but I highly recommend that you to do lace up because of the high probability that you or your bridesmaids may have difficulty providing very precise body measurements if not able to be measured by a professional tailor. And even if measured by a tailor, different tailors may have different methods and understandings about the same measurements. If that happens, then it might result in a dress that may not fit well. However, if we use lace up, then such problems can be avoided. The dress will still fit well because the lace-up back makes the bust, waist, and hips adjustable. We are very confident in how we make a well-fitted dress. When the dress is done, we measure it to ensure the fit is good. However, we can only do this if we are given the correct measurements. Therefore, I recommend doing lace-ups if you are not absolutely sure that your or your bridesmaids’ body measurements are accurate. This dress will be made to your specific measurements, but if you choose zip closure, without 2 or 3 "fittings" at a Bridal Shop (and at least twice the cost!) a small margin of error is to be expected. Although 90% of my dresses fit just right, please be prepared for possible adjustments later if you choose zip closure . This is why I price my dresses so low- it gives you some cost leeway if you need alterations. Are quite simple to do at home, for anyone who knows how to sew. I have even prepared an Instruction, in Color, for doing this.